Finding myself behind the wheel of a thirty-six foot long, twelve hundred horsepower jet boat speeding across the scenic Upper Dells Wisconsin River is something I’ll never forget. 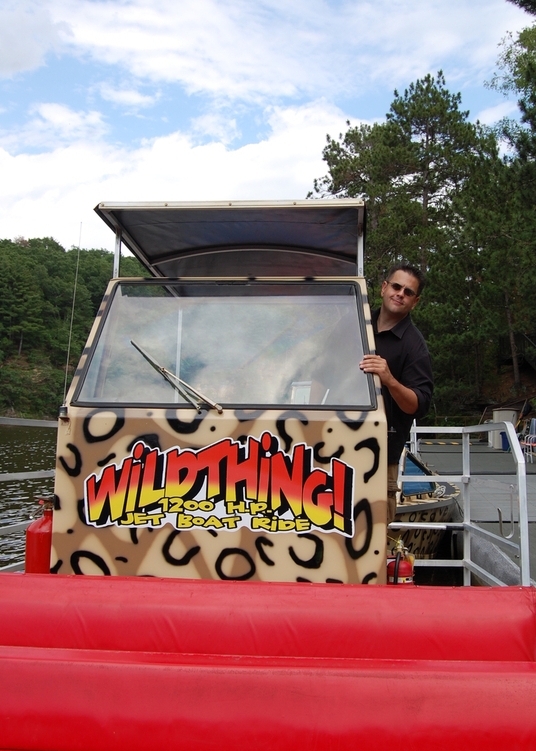 Having the opportunity for such a memorable experience was made possible by the generosity of Ron Yohn, who for my latest Dells Bucket List adventure, taught me how to do exhilarating spins, splashes, and power stops in one of the Captain Ron’s Original and WildThing Jet Boats. 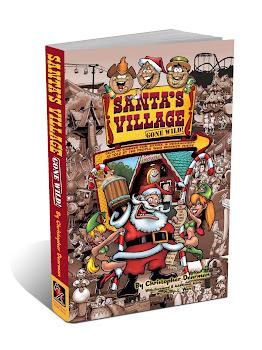 Captain Ron grew up in Wild Rose, and as a kid visited the Dells often. During his ten year stint in the Navy, where he was a Loadmaster on DC-9's, he’d taken a jet boat ride in Gold Beach, Oregon on the Rogue River and thought to himself: “Boy, this would just be fantastic to bring back to the Dells!” It was then he decided to move back home, and in 1997, started what would become the first jet boat business in the Midwest. The jet boat tours are fifty percent fast, fifty percent slow, one hour excursions. During the slow times, the jet boats offer up-close looks at towering sandstone cliffs and unique rock formations, perfect for taking photos as you learn about the history of the river, Native Americans, lumberjacks, and local legends. You may even spot bald eagles flying about, just as I did on my tour. During the fast portion of the trip, over 20,000 gallons of water ejecting from the back of the boat per minute propels you across the water, allowing for fun, high speed spins and power stops. The powerful boat can reach speeds of up to forty-five miles per hour, which feels even faster being you’re cruising on the water in the open-air vessel. My lesson in jet boat driving began after Captain Ron made it look relatively easy. Telling me to take the wheel, he first instructed me how to use the dual-use throttle, which allows one-handed control of going forward & reverse, as well as controlling the RPMs. After giving me the tip to find something on the horizon to aim towards, I was able to steer the boat in somewhat of a straight line. Once he saw that I had cruising down, Captain Ron then told me we needed to reach a speed between 35-45 MPH in order to do spins. As I slowly pushed the throttle up to reach this necessary velocity, my excitement raised correspondingly in anticipation. 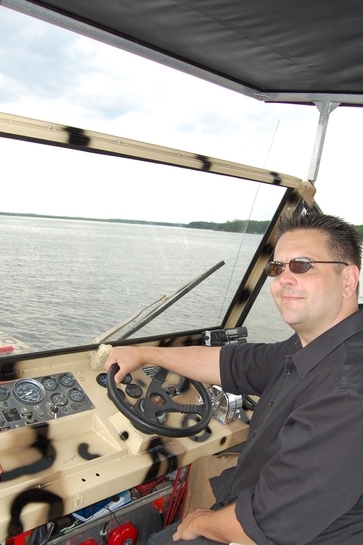 As soon as the boat revved up to the proper speed, I was told to turn the wheel to the right, then rapidly rotate it to the left. As I did so, the boat started spinning on top of the water in a thrilling fashion. The smile on my face was evident, as this immediately brought me back to the winters of my youth when my father used to take me out after snow storms to do “donuts” in his old VW Bug. After doing a few more of the adrenaline-charged spins, next up was to learn how to do “power stops.” This is where you get the boat going fast, throw it in reverse, and then quickly back forward again. This causes the boat to dip into the river, creating a huge wave of water splashing up over the front. I have to say, this was just as fun as doing the spins. 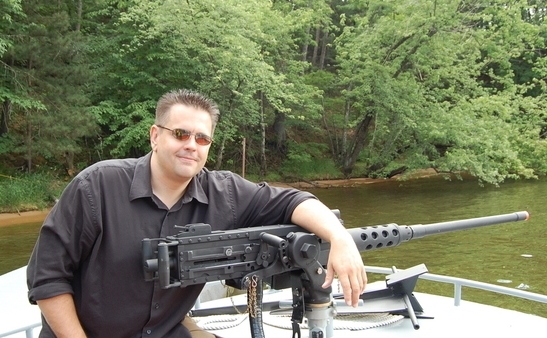 At the front of the boat is a authentic replica of a machine gun where kids can “fire” it while wearing Army helmets and camouflage jackets. They are also provided earmuffs, as the gun uses a mix of propane & oxygen to create the loud sounds of the gun firing, enough so that you can hear the feedback echoing throughout the air. I’ll be honest, the kid in me enjoyed this almost as much as driving the jet boat itself. *** I'd like to thank Ron Yohn for taking the time to tell me about his history, his business and for teaching me how to do spins and power stops! I'd also like to give a shout-out to Jason Okansen for taking some photos - more of which you can find here.